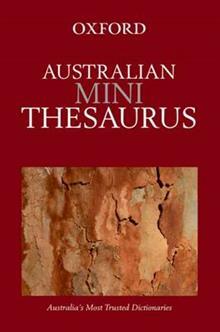 In mini format, this thesaurus contains over 150,000 alternatives and opposite words, clear cross-references to words with opposite and related meanings, and examples and phrases and sentences to show how a word is used in its correct context. In a portable mini format with a durable vinyl cover, this thesaurus is the perfact size to slip into a briefcase or bag. Suitable for travel, at home or the office. With over 150,000 alternative words and antonyms, and clear cross-references to words with related meanings, The Australian Mini Thesaurus is an essential reference for scholars and travelers to the region.